Order Your Fast And Accurate Notarized Translation Now! At Cinch Translations, we have experienced translators who have the knowledge to provide notarized translation services in over 90 languages. For example, if you need a translation of a medical report notarized for a personal injury claim in court, we have experienced notaries available. Notarized translations are undertaken in accordance with laws of the state or country where the translation is to be used. With a notarized translation, it must be a precise translation of the text put in front of the translator. It should include a clause written by the certifier guaranteeing the accuracy along with a seal and signature of the notary witnessing the translators signature. For a document to be accepted by a court or government department like the United States Immigration and Citizenship Service(USCIS), it must be certified with the translator or companies signature and does not need to be notarized. However, many other agencies and schools do require notary and the wording must comply with the what is required by the state or agency where the notarized translation is to be filed. Our notarized translation service is suitable for official translations of all kinds of documents that need to be presented to certain authorities for legal reasons. 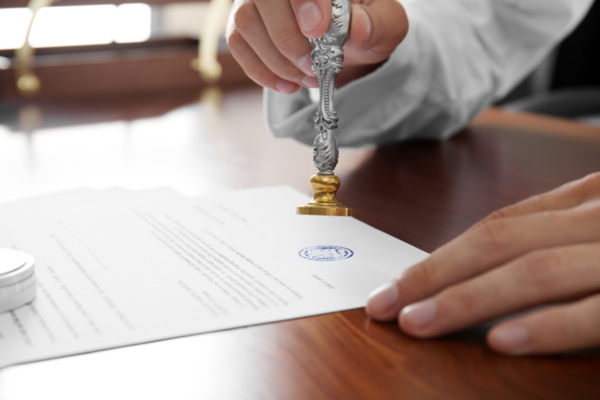 Some common notarized translations are for the following documents. Please be aware that we only notarize the translation and not the document itself.